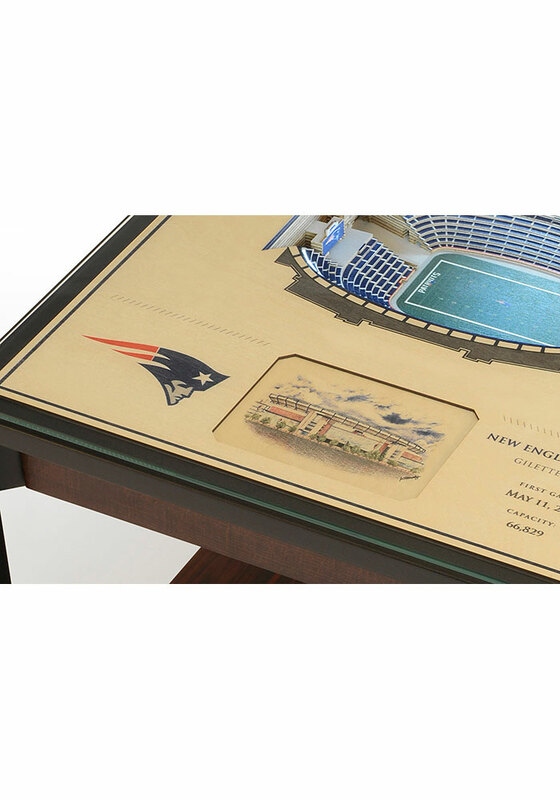 Dimensions: W 22" / D 22" / H 24"
A perfect addition to a coffee table, this New England Patriots 25-Layer Lighted StadiumView End Table looks great in a fan cave. 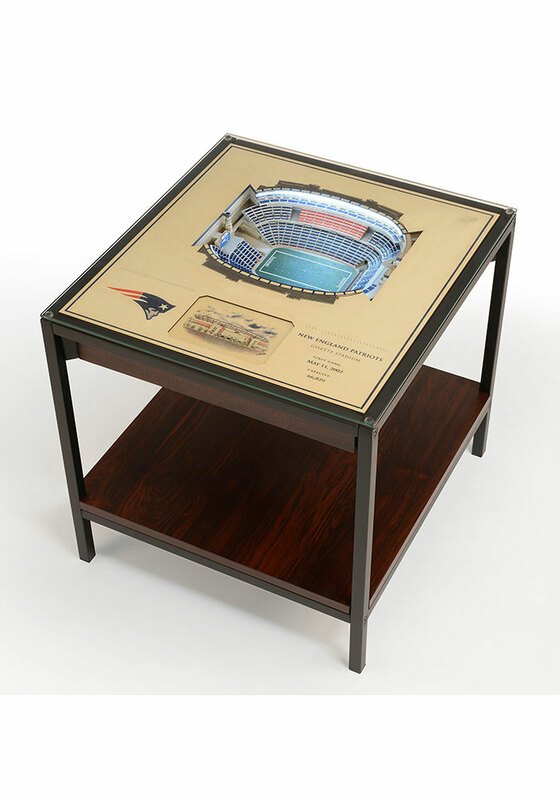 This End Table features a 25 layer wood replica of Gilette Stadiumwith LED lights that mimic the stadium lighting. 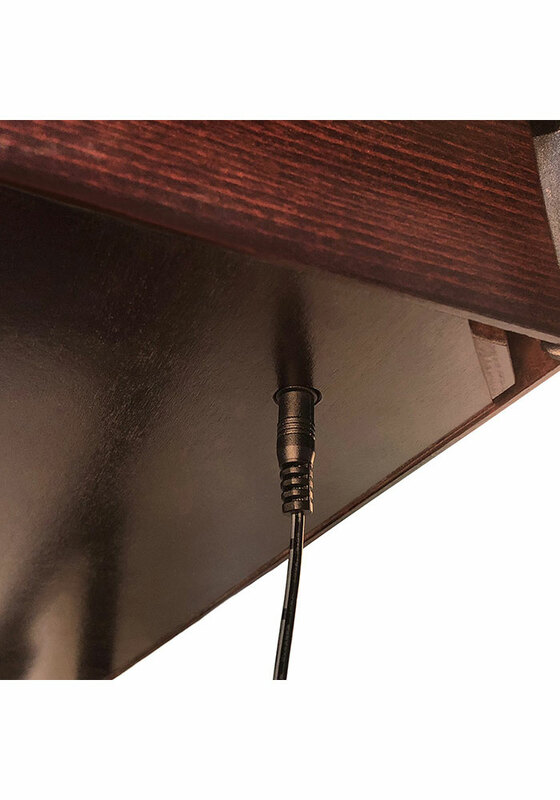 The table is suspended in a powder coated, black, heavy-duty metal frame, topped with tempered glass, and finished with a wood laminate lower shelf. 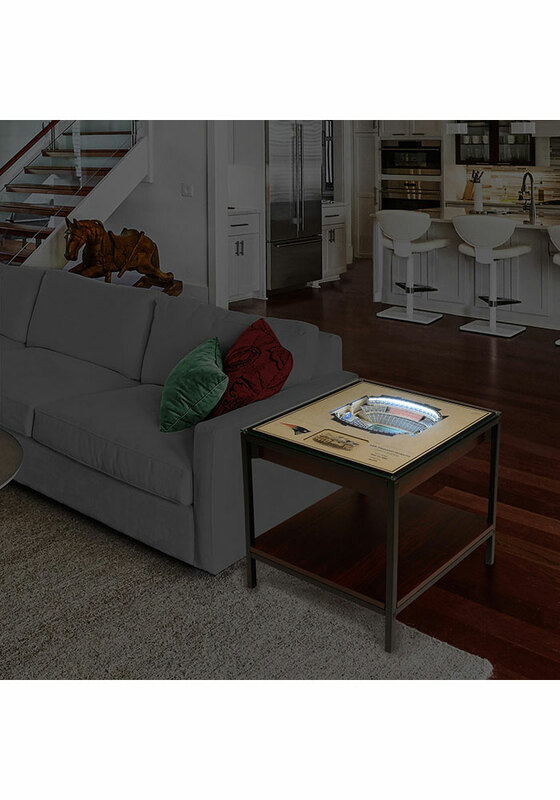 Some assembly required and is a perfect addition to the entertainment room. 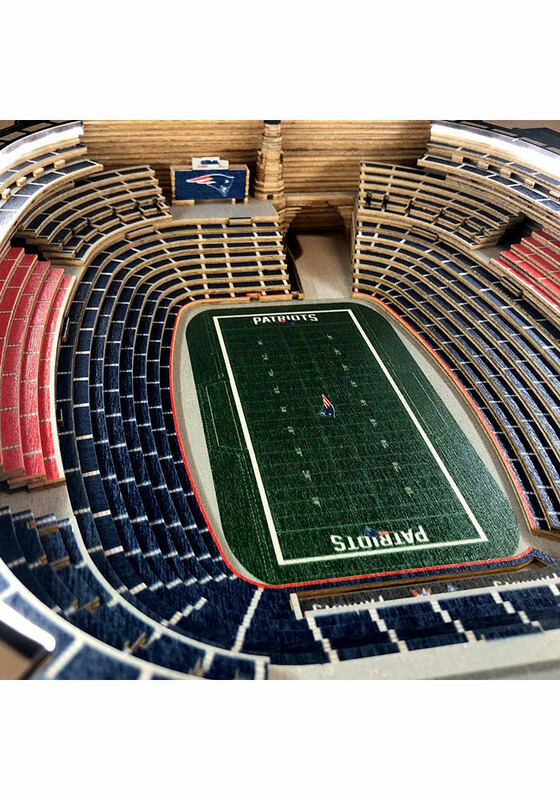 Keep your fan cave screaming of New England Patriots fandom.